A formal studio portrait of Kathleen Marie Murosky and Mary Helen Murosky, the daughters of Arthur Murosky and Mary Eugenia McDonald. 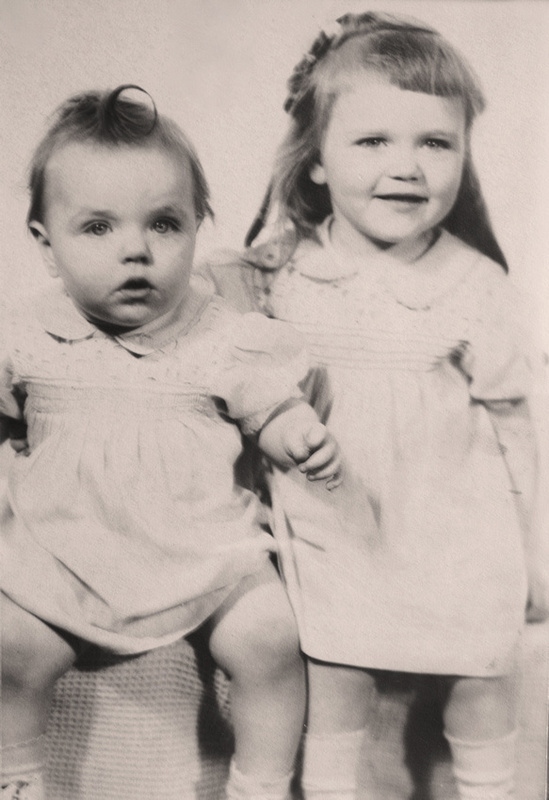 The sisters were photographed in 1946 in Erie, Erie County, Pennsylvania. From the Mary Eugenia McDonald Collection. Photographer Unknown. Editing and digital restoration by Michelle M. Murosky. Kathleen Marie Murosky and Mary Helen Murosky are my aunts.